"Are you a FredHead?" An early teaser trailer has debuted for a fascinating little documentary about horror fans who loved the A Nightmare on Elm Street series, the one with knife-glove-wearing Freddy Krueger as its nasty villain. It's called FredHeads: The Documentary and examines the culture and community that has built up around the Elm Street series and Freddy. This doc is being directed by Paige Troxell, who also previously made the fan film Don't Fall Asleep telling the story of Nancy Thompson after the events of A Nightmare on Elm Street. The film is still being completed and is seeking funding on Indiegogo, so if you like this trailer, help them out to make sure it gets finished (hopefully in 2018). This bit of footage in the teaser is cool, and I'm hoping they get the money they need. This is a perfect film to debut at Fantastic Fest. 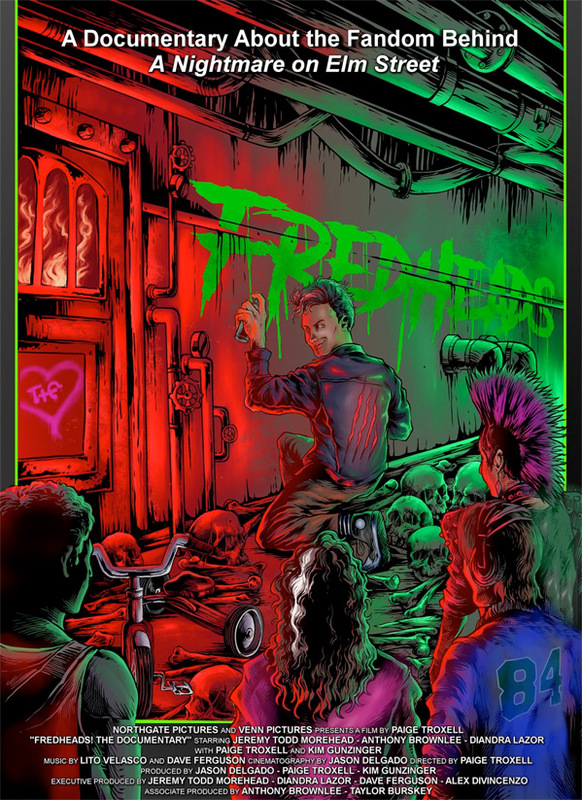 FredHeads is about a the fans within the A Nightmare on Elm Street community. As A Nightmare on Elm Street is a global phenomenon that continues to thrive many years after its 1984 release, fans of all ages nationally and internationally are invited to share their stories. With the central theme of how being a fan can change your life, FredHeads The Documentary, will feature fans of all types. The documentary will follow a group of friends and share their story on how this franchise has impacted their lives. Along the way it will also showcase passionate fans, life-long fans, cosplayers, glove makers, artists, filmmakers, kids, and more. It will show how this franchise has built a community and home for so many. How it has truly become a family. The documentary will also feature insight from the stars and those involved in the original A Nightmare on Elm Street films, and explore why it has last all these years, the impact on culture, and the passion of the Elm Street fan community. FredHeads: The Documentary is directed by up-and-coming filmmaker Paige Troxell, of the short film Don't Fall Asleep previously. The film doesn't have any release date yet. It is still looking for more funding on Indiegogo to be completed. Stay tuned. Who's in?